Drought and heat are being blamed for a sharp decline in the overall number of breeding ducks in the Central Valley. The California Department of Fish and Wildlife has just completed its 2013 waterfowl breeding population survey and finds populations are down by 15 percent. The disappointing count means fewer winged visitors along the Pacific Flyway, fewer birds in my backyard to enjoy in fall. 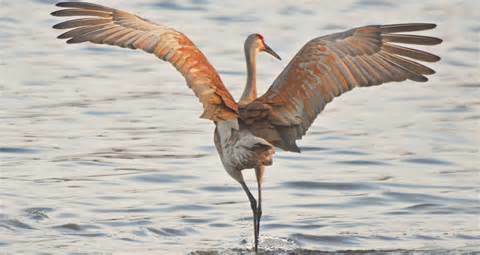 The fall migration is one of the glories of California and the world. 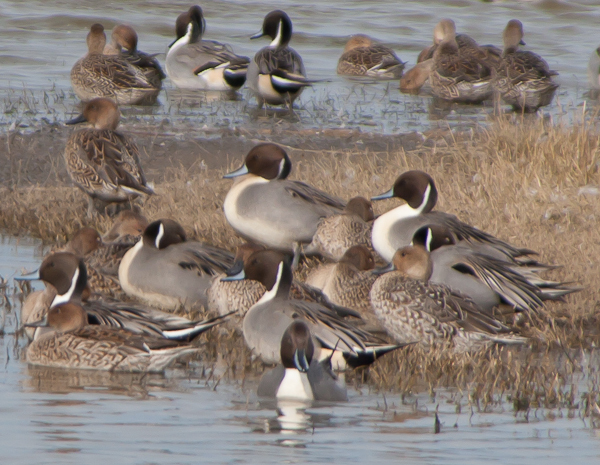 “Habitat conditions are poor in both northeastern California and the Central Valley, so below-average production for all waterfowl species is not a surprise,” said CDFW waterfowl program biologist Melanie Weaver. 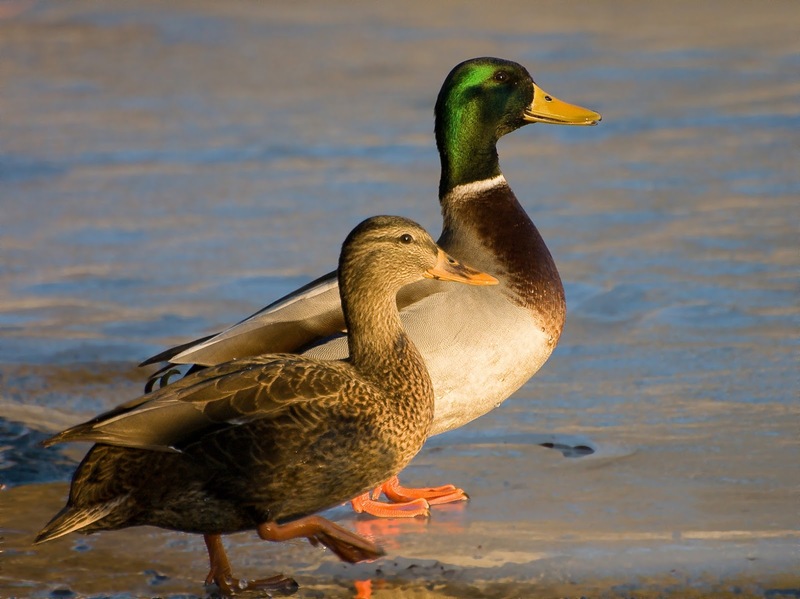 Mallards, the most abundant duck in the survey, decreased 23 percent, from 387,100 in 2012 to 298,600 this year. The total number of ducks of all species decreased from 529,700 last year to 451,300 this year. This estimate is 23 percent below the long-term average. The decline was attributed to low precipitation, especially in the spring, with some areas only receiving 34 percent of average rainfall since Jan. 1. CDFW biologists and warden-pilots have conducted this survey using fixed-wing aircraft since 1955. The California Waterfowl Association, under contract with CDFW, assists CDFW by surveying some transects by helicopter. The population estimates are for surveyed areas only, although those areas include the majority of California’s suitable duck nesting habitat. 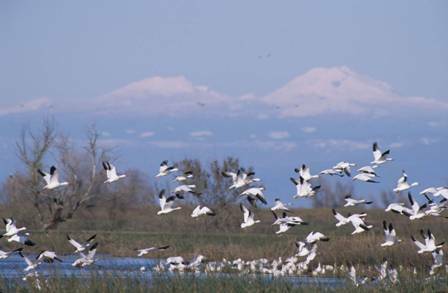 They include wetland and agricultural areas in northeastern California, the Central Valley from Red Bluff to Bakersfield, and the Suisun Marsh. The majority of California’s wintering duck population originates from breeding areas in Alaska and Canada that are surveyed by U.S. Fish and Wildlife Service.The results from these surveys should be available in July.